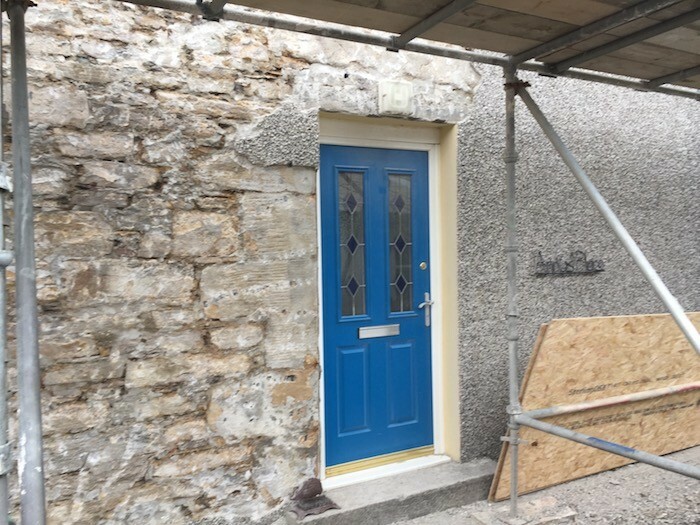 Visitors to Palace village in Birsay cannot help but see that we are in process of transforming our Orkney home and self catering apartment back to its 1760's original appearance by removing the 1970's grey cement and harling. Golden sandstone is being revealed, although it is getting a bit of a blasting by the machinery involved in removing the modern materials. 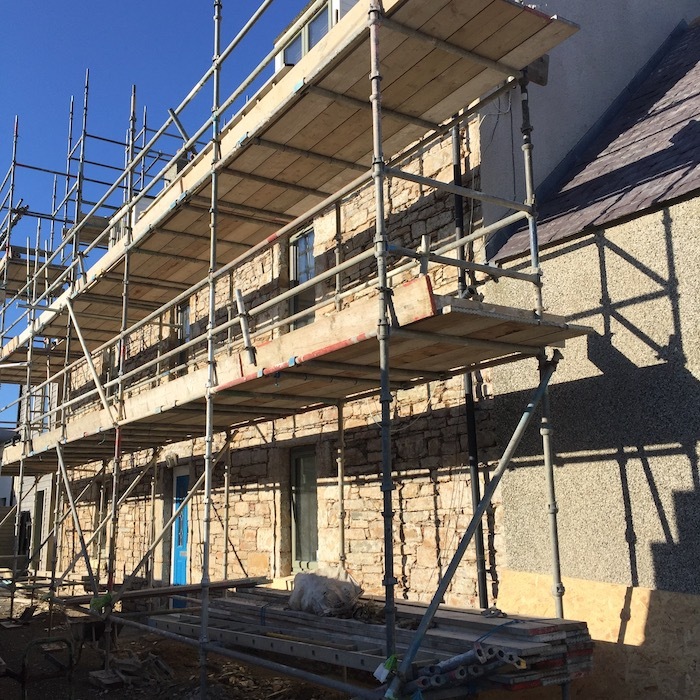 The scaffolders and builder have themselves been blasted by the strong winds and rain which have been hitting Birsay Bay for nearly one month. We so hope that by next week, when the next stage of the process should be starting, that the weather will be kinder. 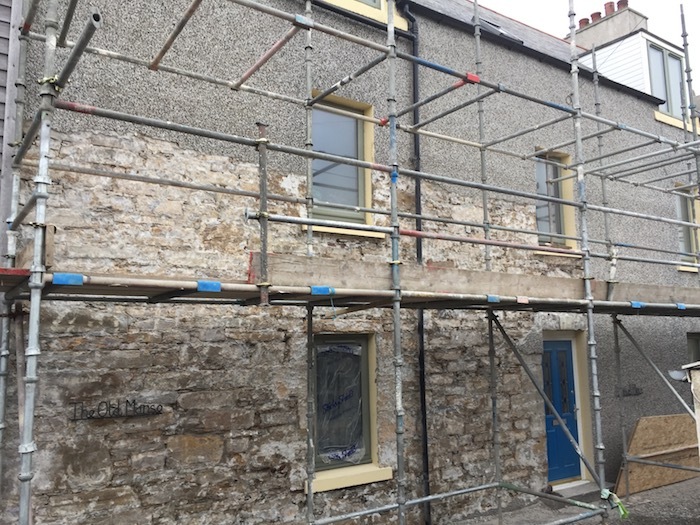 The photos below show the stages as they have been undertaken so far, with the golden lime-plaster covering still to be added! The archaeologists involved in the Mapping Magnus Project are interested to see what stonework is revealed. One part of their communitiy project was to study and record the range and age of stone work evident in the walls and buildings around St Magnus Kirk of which our house is of course, The Old Manse. Compare the sandstone that is being revealed with the harling above! And below the stonework around our Annie's Place self catering apartment door.